Our most popular style. 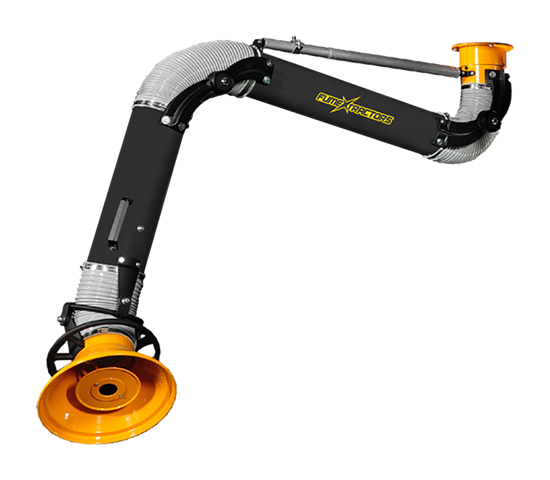 Our hanging arms easily mount to ceilings, walls or posts. 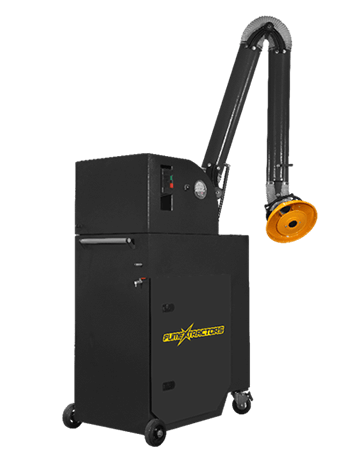 The most popular companion to our Welding Booths, Telescoping fume arms are best suited for tight space operation. 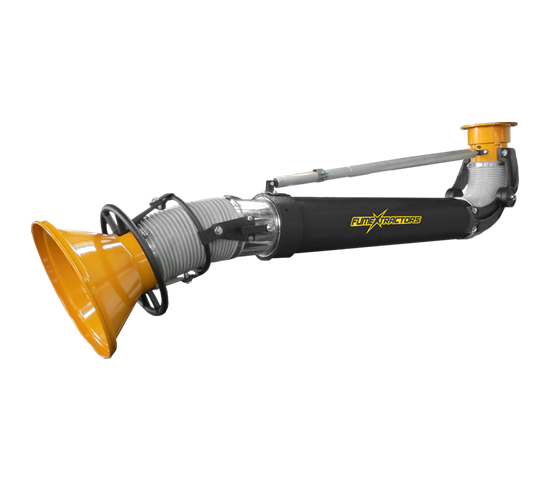 They are compact, but extend for extra reach when required. 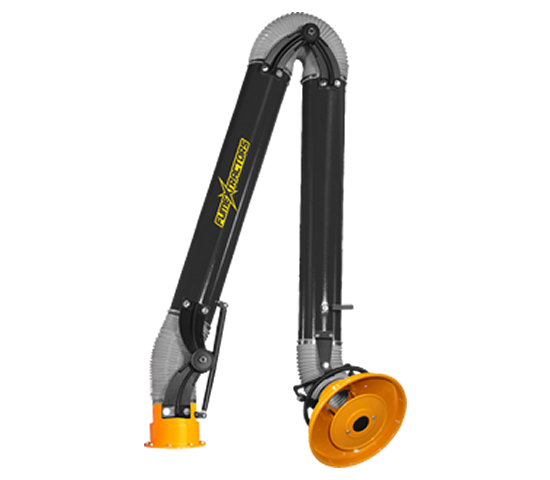 A variant of our hanging arms, these arms mount to a table-top or work-bench and provide the best extraction for table-top projects, where a wall / ceiling / post mount is not possible.